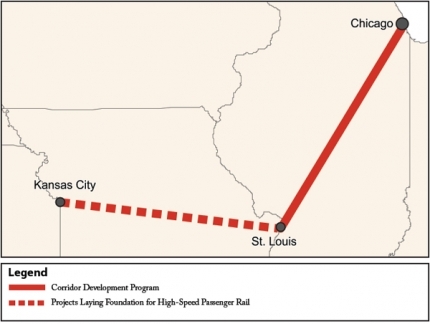 Illinois will receive $1.13 billion to upgrade its corridor to St. Louis, far less than the $4.5 billion the state sought. While this may seem like a set back from Illionis, the Midwest region as a whole received several other significant grants, which should eventually link to a hub in Chicago. 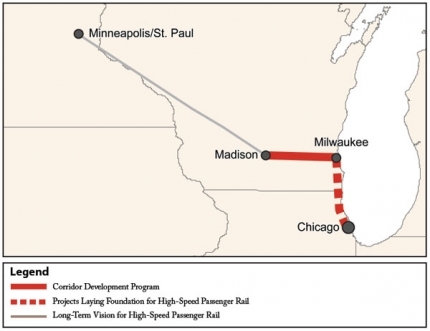 Wisconsin and Minnesota will received $823 for a new line from Milwaukee to Madison, WI, with projects laying the “foundation” for a line connected from Milwaukee to Chicago and a “long-term vision” for a Mineapolis to Madison line. Michigain/Illinois/Indiana are receiving a $244 million grant for upgrades along a line stretching from Chicago to Kalamazoo to Detroit to Pontiac, MI. 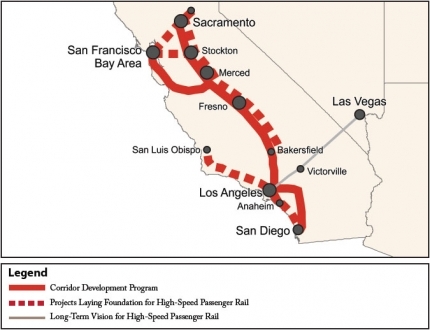 Ohio will be granted $400 million for a new line conntecting Cleveland to Columbus to Dayton to Cincinatti. 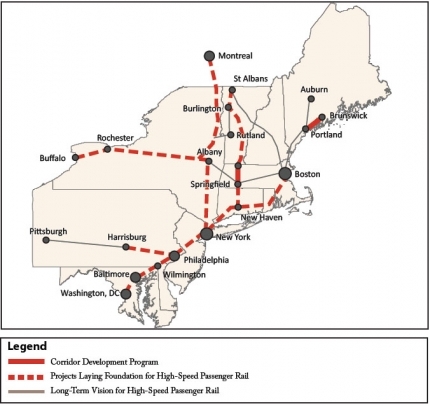 The Northeast Corridor, with the nation’s largest existing rail ridership, is receiving a comparatively small grant of $1.91 billion in funding, spread across nine states and the District of Columbia. According to the Boston Globe, the complexities stemming from multi-state enviornmental impact statements hindered the region’s bid.